As fuel-efficient as ever, the 2019 Kia Optima Hybrid takes ride comfort and interior luxury to the next level with new standard features. 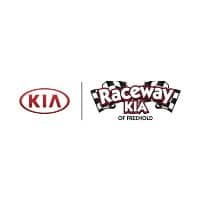 What’s new for the 2019 Kia Optima Hybrid? The midsize sedan segment moves fast, but this hybrid keeps up, thanks to a long list of upgrades. This thrifty sedan is more luxurious than ever, thanks to its leather-trimmed, heated front seats. The new Optima Hybrid also comes standard with a 10-way power-adjustable driver’s seat with two-way lumbar support, keeping you snug and fully supported. The newly standard 60/40-split folding rear seats are just what you need to expand cargo space without sacrificing passenger space. The entry-level model now includes dual-zone automatic climate control with rear vents, keeping everyone perfectly comfortable. What are the 2019 Kia Optima Hybrid EPA ratings? This mid-size hybrid sedan earns 39 city/45 highway mpg, optimizing your fuel budget, even if you’ve got a long commute. Both trim models feature a 2.0-liter four-cylinder engine that’s paired with a battery-powered electric motor, which work together to give you 192 horsepower. From a standing stop, this sedan offers quick, smooth acceleration. 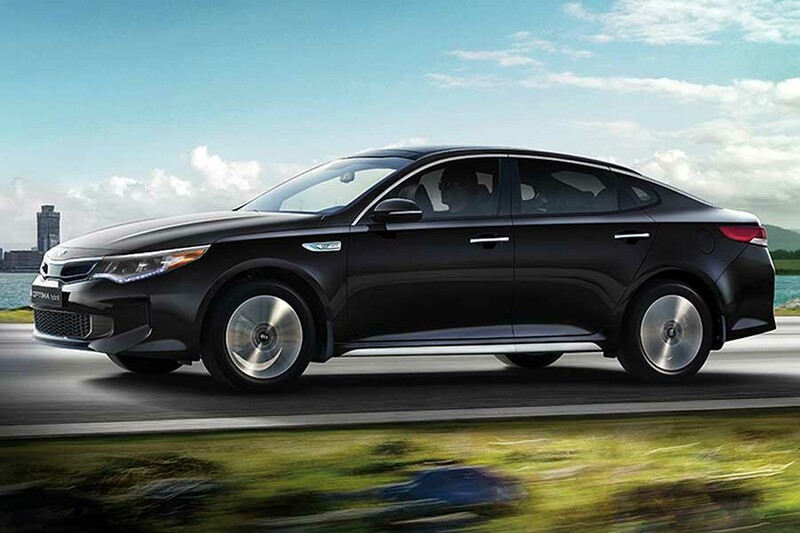 The Optima also absorbs bumps in the road, giving you a comfortable ride in just about any situation. Which Optima Hybrid trim model should I choose? There are essentially two trim models: the 2019 Kia Optima Hybrid Premium and the EX. This year, the entry-level Premium is equipped with more luxury items than ever before, including leather-trimmed seats and heated front seats. This hybrid is also big on smartphone integration, keeping you connected with hands-free controls via Android Auto and Apple CarPlay technology. When you upgrade to the Optima Hybrid EX, you’ll enjoy increasing style and comfort with full leather upholstery. The 10-speaker premium Harmon Kardon audio system gives your favorite songs and upgrade. Its crisp audio will impress even the most discerning audiophile in your social circle. The EX offers optional seating ventilation, a feature that’s quick to cool you down when your sedan has been sitting in a simmering parking lot all day. The 2019 Kia Optima Hybrid has your safety in mind. Now that LED daytime running lights are standard equipment, other drivers will always see you coming. Kia’s advanced driver assistance system technologies are also included in the basic lineup. With standard features like blind-spot collision warning and reverse parking distance alert, you can navigate busy highways and parking lots with confidence. Add the forward collision warning system with automatic emergency braking for even greater protection in the face of danger.